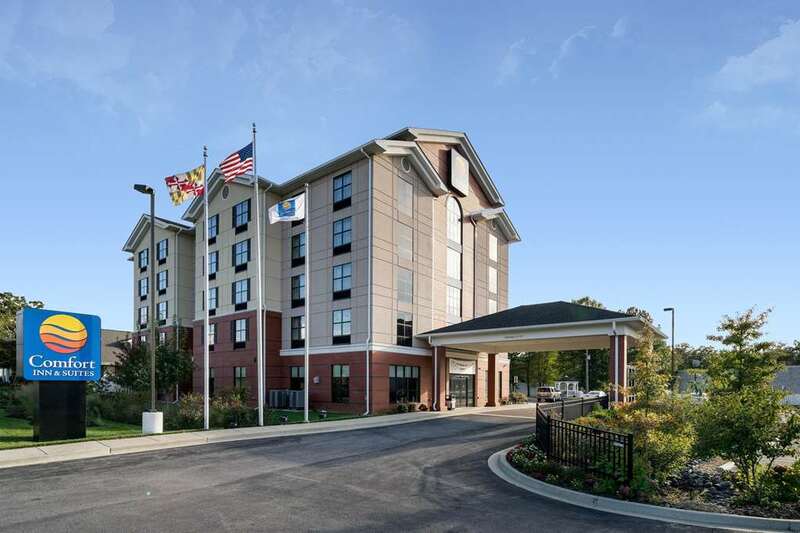 Behind every great day is a great night at the award-winning Comfort Inn and Suites in Lexington Park, MD, which is conveniently located near Naval Air Station Patuxent River. A recipient of the Choice Hotels Preferred Platinum Award, this hotel gives you easy access to such nearby points of interest as Colonial Sotterley Plantation, Point Lookout State Park, Solomons Island and Elms Beach Park. Get ready to take on the day with such amenities as free WiFi, free hot breakfast, fitness and business centers. Rest and refresh in your guest room, which features a refrigerator, microwave, coffee maker and TV. Also, earn rewards including free nights and gift cards with our Choice Privileges Rewards program. Rested. Set. Go. This hotel is a 100 percent non-smoking facility, a 250.00 USD cleaning fee will be charged for smoking and/or pets in the room.